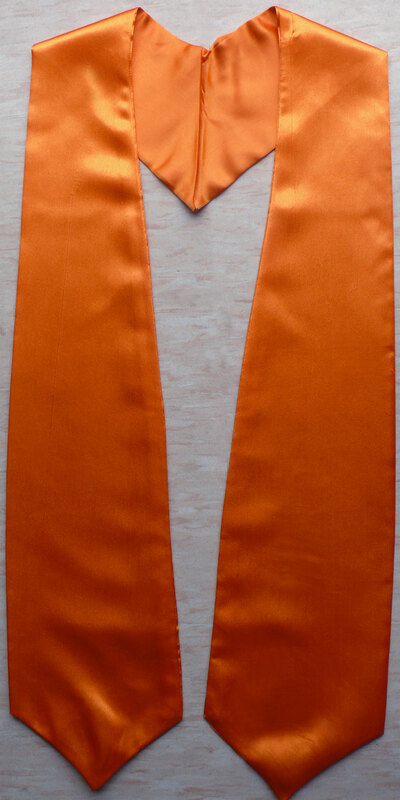 Customer Reviews on "Orange Graduation Stole"
"I am very satisfied with Graduationproduct.com. They shipped my graduation Stoles order out in a very reasonable time and kept me updated about my order. " "Graduationproduct.com by far is the number one custom graduation stoles store. My experience with this order has been great. I appreciate the work that Graduationproduct.com do for their customers. I will refer graduationproduct.com for Custom graduation stoles to all of my Friends, I am sure they'll share the same experience. " Write you own review on "Orange Graduation Stole"